On Moving the Site-Sort Of. 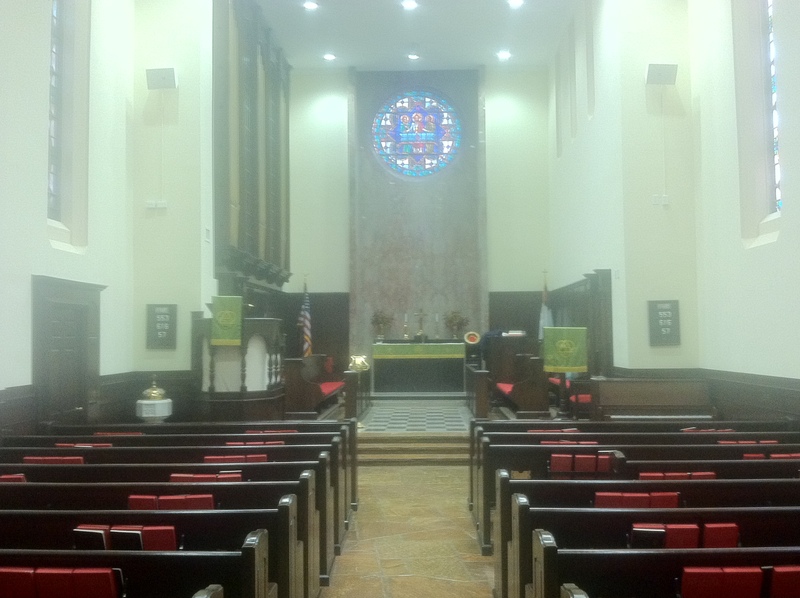 The church I serve, Lane Memorial United Methodist Church, recent launched our new website, which is, incidentally, based in WordPress. Thus, it allows for a blog section there. Since I primarily post my sermons, that website is a great place to host my blog. I tried for a couple of weeks of posting to both this blog and the church website blog, and it was just too time consuming. I do not plan on removing this site, since there are some sites who have linked to some of my posts on this blog, and I would like to keep those blogs intact. Further, given the appointment system, there will come a time where I will not be the pastor at Lane, and I will potentially return to this site for content. For the few of you who subscribe to this blog, if you’d like to continue receiving email notifications about my blog posts, head over to my Blog on Lane UMC’s website. There is a box, similar to the one on this site, that will allow you to subscribe. Thanks to all who have read here, and I hope you will continue to read! Having the blog as part of the church website may in fact increase the volume of my posts, so this could be a good or a bad thing, depending on how you look at it. I hope you’ll check out my most recent post on the new site about Unstable Christians. This post is coming out of order because I have a backlog of sermons to get posted. I was away for three weeks on paternity leave, and this sermon is from my first Sunday back in the pulpit. I’ll get the sermon from November 20 posted soon. This story we hear about the parable of talents comes in the midst of us ramping up towards the end of the Christian year. Next week is the Sunday where we celebrate Christ the King Sunday. We celebrate the reign of Christ. It is the last Sunday of our year, when we look forward to that full consummation of the kingdom of God, of which now we only receive glimpses. Our Gospel for this morning is the third in a part four story series Matthew puts together when Jesus tells of the master or the bridegroom’s return, and what the servants or the bridesmaids have been up to in the mean time. The first story is of the faithful or unfaithful slave. Then we hear the parable of the ten bridesmaids, where only five of the bridesmaids fill their lamps with oil and five do not, so that only five are ready when the bridegroom comes. Then we have our passage for this morning, the parable of the talents. The last story is the familiar reminder that whatever we do to the least of these, we do the same to Christ. In this story, the parable of the talents, the master provides each of his slaves varying amounts of money. A talent is a huge amount of money. It was about fifteen years of earnings by a day laborer. Thus, to receive five talents was a crazy amount of money. To receive two talents was still an unimaginable amount of money. Even just one talent was an incredible sum. Usually this is told as a parable about stewardship, which is not entirely incorrect. The first two slaves are found faithful by their master because they took the money with which he entrusted them and doubled it. Yet, the punishment of this last slave often seems to be especially harsh. It’s not as if he blew his money on useless things. It’s not as if he used the money on evil things. He just didn’t do anything with it but bury it in the ground. This probably seems wild to us to do this. However, I found it even more troubling when I learned that to take your money and bury in the ground was actually regarded as a good security measure in the first century! Yet, this slave is punished for what many would have regarded as a good idea. Burying money in a hole certainly seems foolish to us now, yet to those who heard this parable it would not have struck them as so odd. Why, then, does the master call this servant “wicked” and “lazy” for a practice that many would have considered good sense? To make the story even more perplexing, we hear Jesus say that to “those who have much, more will be given, but to those who have nothing, even what they have will be taken away.” This seems to go against all we have heard Jesus say previously about those with the least going first into the kingdom of God. We know that just in the next few verses we will hear about “the least of these.” Clearly, these words cannot simply be about money. That would make Jesus contradict himself. Rather, what we learned in the exchange between master and slave helps us interpret what Jesus means. Perhaps the key comes in the way that the third slave views his master. The slave describes his master as a “harsh man, reaping where you did not so, and gathering where you did not scatter seed; so I was afraid.” This slave is motivated primarily by fear. Is it the sign of a harsh master to entrust the slave with more than fifteen years of wages? Rather than taking the one talent that the master has provided him and risking it, he figures it is better just to make sure that he holds on to what he already has. After, wouldn’t the master certainly be angrier if he had risked that one talent and he had lost it all? Don’t forget that even one talent is still a lot of money! His view of the master constricts and paralyzes this slave’s ability to act. This master has clearly provided these different amounts of talents with the expectation that they will be risked. He expects that they will be used, and that they will not remain with those to whom they are entrusted. If this is true, then this parable is much more than a stewardship parable. Stewardship tends to look back at what we have received, so that we can make sure that we take care of what has been provided. Yet, as we have seen, the placement of this story comes in the midst of Matthew directing our attention forward to the return of the master or bridegroom and what we have been up while he has been away. This is not just about what God has done for us and what we will do with it. This is about what God has done for us and what God will do with us. This not simply about taking care of what we have, this is about taking the abundance of God and risking it, sharing it, and realizing that our call is not simply to hold on to what we have been given, but because God’s gifts and God’s love is inexhaustible, that we are called to the kind of faithful living that might even appear reckless at times. What it means is that our God is not a God who is about playing it safe. 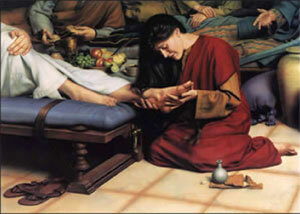 When I think of this, I think of Mary, the sister of Martha, anointing Jesus’ feet with perfume. Mary lavishes this perfume on Jesus’ feet, and Judas says, “what a waste of money! We could have sold that perfume, and we could have given the money to the poor!” Judas was not thinking that Mary had been a very good steward of that perfume. Little did Judas realize that Jesus was receiving that perfume as anointing for his death. Jesus blesses Mary’s lavishing. He even blesses what seems like a waste to those who aren’t paying attention. This parable, while directed to Jesus’ return is anything but pie in the sky. It is focused on a life of sharing God’s love and gifts with the world right now while we await his return. This parable, while directed to Christ’s return, is not about things getting worse and worse until Christ finally returns and destroys this wicked place. It is about our work in the mean time showing glimpses of the fullness of a new heaven and a new earth. 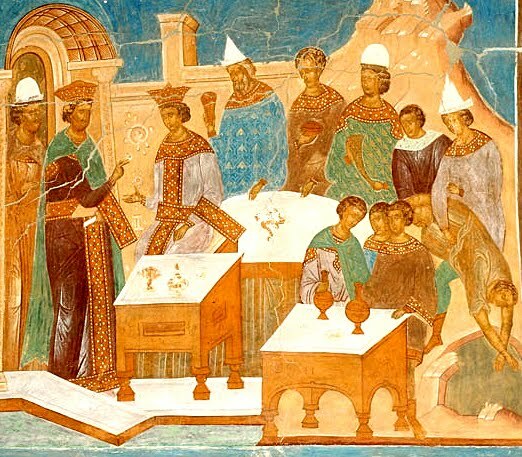 When Jesus invites those two slaves “into his joy” and in the previous parable when the bridesmaids are invited into the “wedding banquet,” these are all images of the new and new earth. They are all images of the banquet we anticipate together when we come to the table for Holy Communion. The master calls the slave “lazy.” Another way to translate that is slothful. Typically we think of sloth as mere laziness. However, sloth is something much deeper. It’s not caring enough to do anything. It’s being so paralyzed by not being able to engage anything fully that we don’t do anything. The desert monks called it a “spiritual sadness,” the “noonday demon.” An example they gave was that a monk would be praying in his room, and he would suddenly feel the urge to go and visit his family. Of course, visiting family is a good thing, except they are supposed to be praying. To be slothful can be to be so engaged in so many different things or to be so be so reserved from doing anything fully that we don’t care deeply about anything. It is to be so paralyzed by fear and sadness that we don’t do anything at all. That is the character of this slave, and it is in many ways the character of the world in which we live. We are so distracted and pulled in so many different directions or so paralyzed by fear that we are unable to fully give ourselves and risk ourselves and our hearts in anything. We are so busy going from iphone to ipad to computer to television to any other sources of media. When we read an article on the internet there are links in the article that we follow to the point where we have forgotten what we were reading about in the first place. We are so distracted, we are so fearful, that we won’t risk ourselves in anything. In fact, I’ve noticed a trend in every church I have been in up to this point. I haven’t been here long enough to see whether it is an issue at Lane, but in other churches I have served, seminary included, what I have noticed is an unwillingness for sign-up sheets. People will not sign sign-up sheets anymore. I don’t think it is a result of folks not wanting to participate. I think it is good people who want to be conscientious. We don’t want to say we’re going to be somewhere and then not show up. I think that emerges out of a paralysis that comes from fear as well from being pulled in too many directions. I don’t want to commit to this event because I have all of these other events I’m supposed to be at. I don’t want to sign up now because I have so many things going on, that I may be forgetting something. This is the sadness, this is the fear, this is what paralyzes us from giving ourselves to anything fully. We end up burying ourselves in the ground, not risking ourselves. And our faith, and our life, and our spirituality, and our relationship with Christ and with one another is choked out. We are considering the question, “If we are anticipating celebrating Christ’s birth, then what would Christ want?” Thus, each week during Advent we will draw ourselves to be challenged to focus on those whom Christ would have us serve, rather than on ourselves and our accumulation of “stuff” and allegiances and directions. To focus on the angel tree. To do a Society of St. Andrew Christmas donation card instead of an item that will just gather dust in a closet. To bring in food for DAWN. To do a Stop Hunger Now Event here at church. To bring our gifts and our talents to be people who risk sharing the abundance of God in a world that is all about scarcity. I ask you to ask yourself as you leave here today, what are the ways I am ruled by fear or the ways I am pulled in too many directions, so that I am not able to fully give myself to the kind of life to which Christ calls me? Mark Douglas, “Theological Perspective,” Feasting on the Word, Year A, vol. 4, (Louisville: Westminster John Knox, 2011), pp. 308. Lindsay P. Armstrong, “Homiletical Perspective,” Feasting on the Word, Year A, vol. 4, (Louisville: Westminster John Knox, 2011), p. 311. Thomas D. Stegman, “Exegetical Perspective,” Feasting on the Word, Year A, vol. 4, (Louisville: Westminster John Knox, 2011), p. 311. Stegman, “Exegetical Perspective,” p. 313. Douglas, “Theological Perspective,” pp. 308 and 310. Douglas, “Theological Perspective,” p. 308. John M. Buchanan, “Pastoral Perspective,” Feasting on the Word, Year A, vol. 4, (Louisville: Westminster John Knox, 2011), p. 310. Jeffrey A. Vogel, “The Speed of Sloth: Reconsidering the Sin of Acedia,” Pro Ecclesia, Vol., 18, No. 1, (Lanham, MD: Rowan and Littlefield Publishers, 2009), p. 59. Vogel, “The Speed of Sloth,” p. 54. My ribs didn’t hurt very badly until the next day and then it hurt to laugh, so I skipped the gym for a couple of mornings, and I was a little disappointed that the bruises weren’t slightly more dramatic. It argued either for a kind of restraint or a kind of low cunning in the training of the police. They had hit me hard enough so that I was sore for days, but not hard enough to leave much of a mark. I wasn’t so badly off. One of my colleagues, also a poet, Geoffrey O’Brien, had a broken rib. Another colleague, Celeste Langan, a Wordsworth scholar, got dragged across the grass by her hair when she presented herself for arrest. I was…I am…horrified. 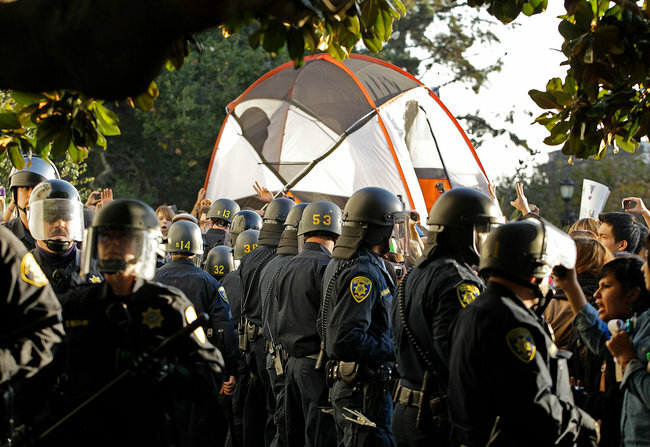 Regardless of what you may think of the Occupy Movement, this is horrifying. If you think they are a group of concerned citizens getting together to take action and protest, this is horrifying. If you think they are a group of riff raff who have no business occupying these places, this is horrifying. What has happened to us, I thought, when peaceful protesters receive beatings? What has happened to us, I thought, when a Wordsworth scholar is dragged across the grass by her hair? Yet, this God seems nowhere to be found. This God who “did awesome deeds we did not expect” is hidden. Isaiah, and the people of Israel feel abandoned. God has apparently hidden God’s self from them as a result of their sin. But Isaiah isn’t going to let God off of the hook that easily. He goes so far as to say that God’s hiding has actually caused Israel to transgress further! “Because you were angry, and we sinned; because you hid yourself we transgressed” (64.5) Isaiah is essentially saying, “I know that we have sinned, but we are inextricably bound to one another. We have sinned more because You have hidden Yourself!” This is not to blame God or let Israel off the hook; rather, it is to move God to action for the sake of God’s chosen people. As I read that article, I got that kind of “O that you would tear open the heavens and come down!” feeling for which Isaiah cries out. Such frustration. Such sadness. Welcome to Advent. Advent begins with a lament. It begins with a cry. It begins with a sober look at the state of things. It doesn’t begin with Black Friday. It doesn’t begin with the easy listening stations playing Christmas music. It doesn’t even begin with Thanksgiving. It begins with a cry of lament. Why, you may ask, Alan do you think it is your job to constantly try to bum us out when we are trying to enjoy the holidays? I don’t think actually believe that is my job. 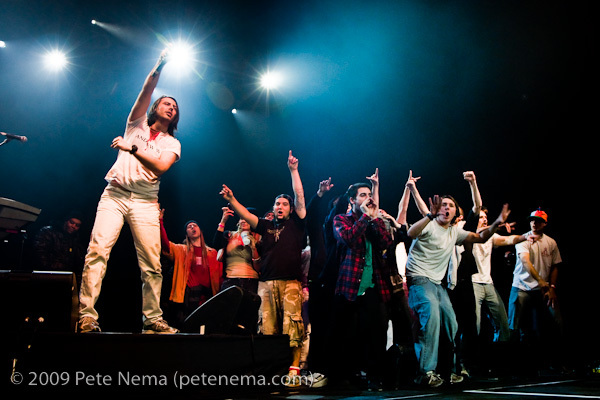 My job, rather, is one of pointing. It is of pointing to where God would direct our hearts during Advent. And to begin with, God draws us to lament. To begin with lament is not to begin a long series of Advent bummers. Rather, to begin with lament is to begin at the beginning. Lamenting is different than complaining. If you look at the Psalms of lament, or the laments in the prophets such as the one we encounter this morning they are not simply complaining. It is not simply a whining for God to solve all of our problems. As biblical scholar Walter Bruggemann points out, lament is the beginning of hope. We can only hope when we have a clear sense of what is wrong. We can only hope when we have properly lamented the brokenness that we see all around us. We can only be clear about that for which we hope when we are clear about what has broken and hearts and drawn us to lament. Even as Isaiah laments God’s hiddenness, notice the intimate imagery he continues to ascribe to God. He calls God Father. He calls God the pottery, and Israel are the clay. The people of Israel and God still belong to each other because they are in a familial relationship. They are tied to each because God gives them their shape as a people. While apparently hidden, God is still present. Even though Isaiah cannot perceive God’s presence, he speaks with hopeful words because he is certain that God will still act. This is Advent. Only after have we had perceived the depth of the brokenness, the depth of the sins personal and structural, the depth of our needs, can we perceive clearly the hope we are approaching in Advent. Christ did not come to make things more awesome in a world that was already awesome. Christ entered into a world where the poor need good news, captives need release, the blind need sight, and the oppressed need freedom. And, as we will see, he entered into that world in poverty and a refugee from genocide at the hands of his government. Christ came into a world that had been crying out for him for hundreds of years to be God’s decisive answer to the brokenness that the has a seeming strangle hold on the cosmos. And so, in Advent, we enter into the discipline of patience. We enter into the practice of looking around at the world, at all the places and people that desperately cry out for God to tear open the heavens, and we join them in solidarity. To wait in this way is not to sit on our hands and do nothing. Rather, as one commentator says, “It is a tensive waiting charge with the pathos of lament and conjoined with the joy of remembrance and the anticipation of praise.” To wait during Advent is not to bum ourselves out, but it is let the anticipation of Christ’s coming to swell in our hearts and minds as we prepare the way of the Lord. It is, a “passionate patience.” And as we enter into the disciple of passionate patience, we will resist the temptation around us to look at ourselves and what we think we deserve for Christmas, and we will look outward to others, who are feeling that “God would tear open the heavens and help us” kind of feeling. This week through the angel tree. Next week through Society of St. Andrew alternative gift-giving, the next week through bringing food for DAWN, and the final week of Advent through packing meals with Stop Hunger Now. The hope, as we move forward in our passionate patience, is that we will encounter more clearly the one through whom God tears open the heavens. Except that we don’t see lightning and shaking of mountains. 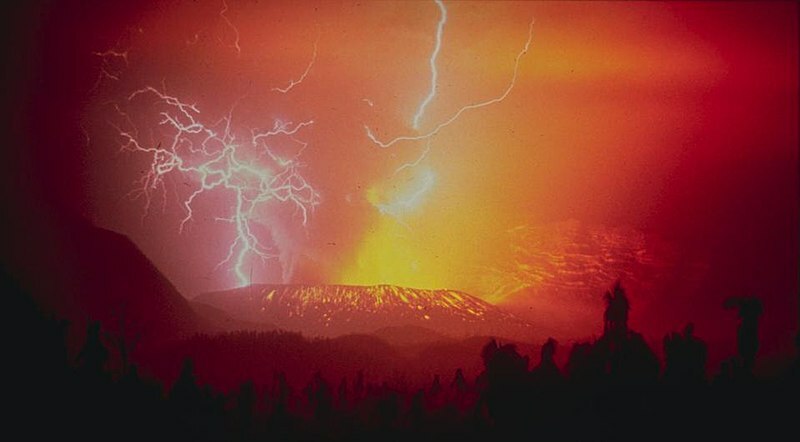 Rather, the tearing of the heavens comes as the God of the universe takes on flesh and blood and becomes one of us. The God who Isaiah sees as hidden remains hidden because not all recognize the God who has become one of us so that we might become like God. This one who came, who did not “do something” about was wrong with the world through violence. Rather, he “did something” by serving and offering himself up to die. This is the one who reveals God’s power that is made perfect in weakness is the one in whom our hope certainly rests. This one who invites both police and protesters into one family. It is this one for whom we wait to come again. It is this one who we heard about last week who makes it clear what our conduct should look like in the mean time. It is he who tells us in our Gospel passage to “Stay awake!” as we swell with that passionate patience for the culmination of the kingdom. And so, regardless of what you think about the Occupy movement, I invite you in these moments to Occupy Advent. Robert Hass, “Poet-Bashing Police” New York Times Online http://www.nytimes.com/2011/11/20/opinion/sunday/at-occupy-berkeley-beat-poets-has-new-meaning.html, cited. Nov. 27, 2011. William P. Brown, “Exegetical Perspective,” Feasting on the Word, Year B, Volume 1, (Louisville: Westminster John Knox, 2011), p. 3. Brown, “Exegetical Perspective,” p. 7. Brown, “Exegetical Perspective,” p. 5. Scott Bader-Saye, “Theological Perspective, “ Feasting on the Word, Year B, Volume 1, (Louisville: Westminster John Knox, 2011) pp. 5-6.